First up I have several items to share with you that are more used for preparation for exercise -- or really, just to go with an overall healthy lifestyle in general. My favorite was The Vitamin Shoppe Next Step shaker. I thought the design was clever -- it's not shown, but it has a shaker inside to help make mixing the Next Step Fit n Full Protein Shakes easier, which I thought was nice. I'm not big on protein shakes, but I do like the idea in theory - super low-cal (140 for the packet which makes an 8-oz drink) and 14 grams of protein! I have said this before, but high protein is my #1 diet rule because it is the only way I can keep from being super hangry all the time. I did have a hard time mixing though... I used the Mixed Berry mix (pictured in shaker) but no matter how hard I shook, it still had a ton of unappetizing powder clumps, which made a taste test a little difficult. It smelled divine though! Perhaps I was doing something wrong, but it was a bit of a bummer because I would love a new way to cut calories without starving to death. I was also sent Blue Diamond Blueberry Flavored Almonds, which were much less disappointing. I really like almonds, they are a great healthy snack, and the blueberry flavoring was a nice way to shake it up a little. I don't remember the exact nutrition for this packaging, but I looked online and it seems like 1oz/28g (aka about 24 almonds) is 160 calories and 5g of protein. Again, with the protein.. :) but since that is super important to me, I like that it is there. Not the highest protein bang for your buck, but much better than lots of other crunchy snacks, many of which have 0g. Next up is my favorite and likely to be most used item of the box - the Profoot Triad Orthotic. This is an insert for your running shoes so that your foot is more cushioned to help avoid pain when walking running. It came with a tiny little adhesive to stick to the inside of your shoe, which was nice (although it was extremely sticky - I flubbed it at first and upon reposition attempt, it actually ripped out a little bit of the insert!). It is also 3/4 the length of your shoe, to prevent your foot from feeling crowded. I thought this insert worked very well. Like I said, I am currently in the routine of running on the treadmill every night, so it is important for me to make sure I prevent any pain/injuries that I can, and I thought this insert did the job nicely. Also included was Playtex Sport Fresh Balance, which I have reviewed already here. Lastly, we have what I like to think as the "spa" portion of the post -- how to get back to feeling human after working out makes you all sweaty and stinky and gross. The Profoot Pedi Rock is kind of like a stress ball -- shaped so that it is easy to grip -- and you just rub it on your heel to reduce calluses and roughness, etc. I was surprised that after scrubbing for only a few seconds my heels did feel noticeably smoother! Also included were the Aqua Spa Bath Salts, in a lovely lavender scent. Bath salts are something that I always love to use when I find myself in possession of them, but never think to buy them for myself - so I was thrilled with these! I really love the scent especially, very relaxing. And that is that! I really enjoyed this box -- it reminded me how much I love to belong to the exercise club, lol. And it was great that the products included encompassed not just actively-exercising time, but preparation and for afterward as well! I definitely see myself using some of these (hello, Aqua Spa bath salts) in the future. 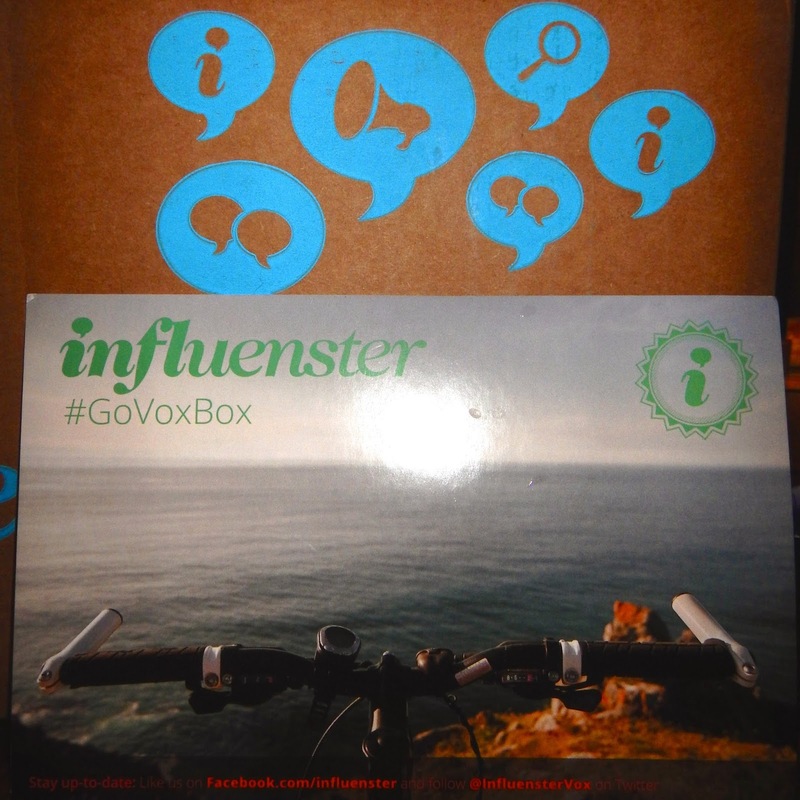 ~These products were provided for an honest review by me from Influenster.